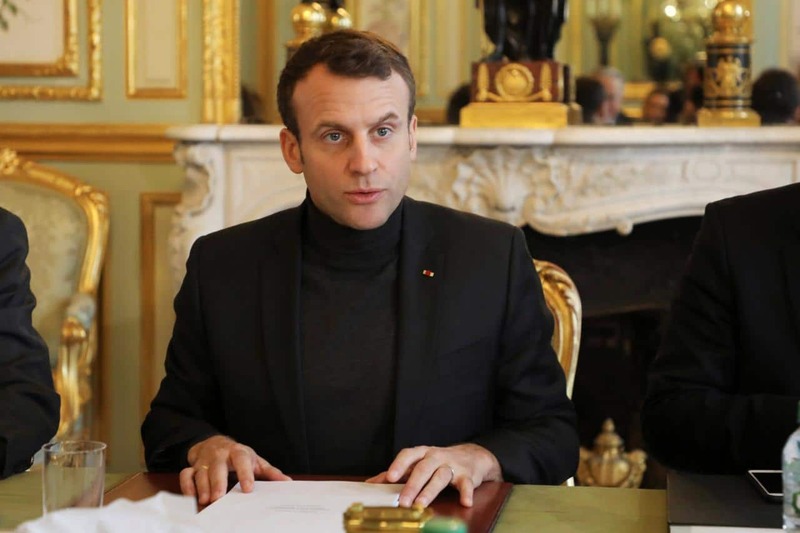 France’s President Emmanuel Macron said on Tuesday that “France will strike” if chemical weapons are used against civilians in Syria in violation of international treaties. However, Macron told reporters that he had not yet seen proof of a recent attack substantial enough to trigger the French intervention. The President’s comments appeared to indicate that France will respond if the Assad regime carries out another assault with sarin nerve gas. However, Paris will continue to stand aside over the regime’s use of chlorine, a substance which is not classified as a chemical weapon under international conventions. The Assad regime’s last confirmed use of sarin was in April 2017 on the town of Khan Sheikhoun in Idlib Province in northwest Syria, killing up to 92 people and wounding hundreds. The US responded three days later with its first airstrikes against regime targets, firing 57 missiles on the Shayrat airbase from where the chemical attack was launched. Since then, the regime has relied upon chlorine attacks, including three in the last month on the East Ghouta area near Damascus. Macron said last May that the use of chemical weapons would be a “red line”. Last Friday, in a telephone call with Russian President Vladimir Putin on Friday, he expressed concern over signs that chlorine gas had been used against civilians. On chemical weapons, I set a red line and I reaffirm that red line. If we have proven evidence that chemical weapons proscribed in treaties are used, we will strike the place where they are made. Today, our agencies, our armed forces have not established that chemical weapons, as set out in treaties, have been used against the civilian population. The US appears to be taking a similar position, although it has not made an explicit statement of conditions for intervention. On February 2, Defense Secretary Jim Mattis told reporters of the Assad regime’s past use of chemical weapons and concern that it might carry out more attacks. But Mattis appeared to distingush between sarin — which would prompt another American military response — and chlorine, which would not. He further set a line against immediate US action by saying that proof of the recent use of sarin by the regime had not been established. The UN Human Rights Office reports 230 civilians killed and 812 wounded by airstrikes by the Assad regime and Russia between February 4 and 9. The office said a total of 277 civilians were slain as Russian strikes supported the pro-Assad offensive in Idlib Province in northwest Syria and pro-Assad forces bombed and shelled the East Ghouta area near Damascus. At least 210 civilians — more than a quarter of them children and 42 of them women — were killed and 671 wounded in East Ghouta during the period. My staff in the region have catalogued dozens of specific incidents that have reportedly led to deaths, injuries and destruction of vital infrastructure over the past week. These range from a rolling series of airstrikes on residential areas of Douma [in East Ghouta] on 6 February which reportedly killed at least 31 civilians, including 12 women and four children, and injured more than 100 others, including 37 children, to a strike the previous day on a blood bank in Saraqab city in Idlib, which had already been rendered inoperable by an earlier airstrike in January. Hussein said reports indicated at least nine medical facilities were hit, including “a key hospital that was still functioning” — possibly the National Hospital in Ma’arat al-Num’an — in Idlib Province and a mental health care facility and a medical clinic in Kafr Batna in East Ghouta. Paramedics and civil defense volunteers were killed and injured in second, third, or fourth rounds of airstrikes targeting sites hit earlier in the day. The UN official also cited reports of the use of chlorine on Saraqeb in Idlib Province on April 4. Hussein said reports indicated at least seven civilians and 18 injured by rebel fire on areas of Damascus between February 6 and 9.